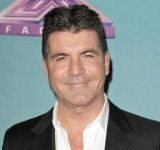 American Idol kicked off Hollywood Week on Sunday night, and there was no shortage of stress as the judges narrowed down the contestants. There also was no shortage of sneezes, as several contestants (plus judge Katy Perry) felt sick. The night started with contestants being put into “lines” and having to sing one at a time. The judges then decided which contestants from each line would make it through to the group round. It was here that tensions really ran high, as the singers struggled to work together while showing off their individual voices. Laci put a country spin on Aretha Franklin’s “Natural Woman,” saying she wanted to work on improving her confidence. It worked out, as Katy Perry threw a chair in response to her performance. She made it through to the next round. Alejandro had a lot to live up to after American Idol said he had the greatest audition ever. He said that he’s working on feeling more comfortable in his skin, but the self-doubt goes away when he performs. His cover of Justin Bieber’s “Sorry” made the judges throw their jackets at him, and sent him through. The “chicken girl” with a crush on Ryan Seacrest started out her performance in tears, and received a tissue from Katy. She then forgot the words to “Whole Lotta Woman” by Kelly Clarkson. Sadly for Courtney, she was eliminated. 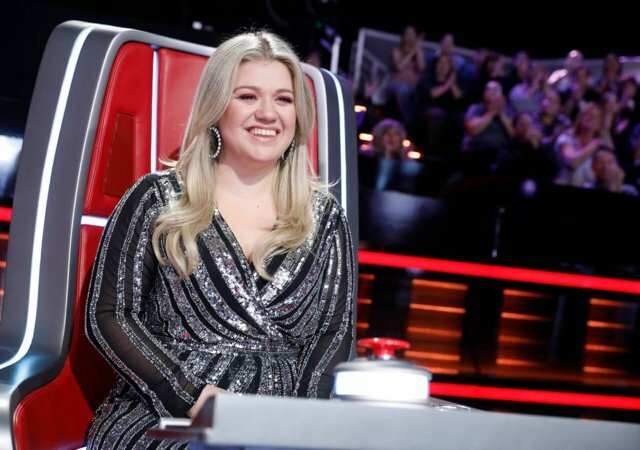 After the judges called this singer “the next Kelly Clarkson,” she chose to sing “Already Gone” by Kelly herself. It was so good, Katy ran out of the theater afterward. Madison made it through to the next round. Even though she’s known for her quirky personality, Margie says she has a serious side as well. Although she admitted that she sounded nervous during her performance of Sam Smith’s “Lay Me Down,” she made it through to the next round. Logan previously shared his story of overcoming drug addiction. He says he hopes to be an inspiration to others, as he just received his 10-month sobriety coin. He performed “Sensible Heart” by City & Colour and made it through to the next round. This chill singer was one of the many contestants who felt sick during Hollywood Week. After running to the bathroom to throw up, he delivered a strong performance of “I Will Follow You Into the Dark” by Death Cab for Cutie and made it through. This Home Depot employee, with a voice that Lionel Richie said was “like butter” in his audition, performed Sam Cooke’s “A Change Is Gonna Come.” He received a standing ovation from Lionel and a wave of the tissue from Katy. Shawn made it through to the next round. This young country singer sang “Before the Next Teardrop Falls” by Freddy Fender, including the Spanish part. (He dedicated the performance to his sister.) He got emotional when he received a standing ovation. Not only did he make it through, but Luke Bryan replaced his worn cowboy boots with the pair off his own feet. Well, this is awkward. Former contestant Laine returned to the competition when he made an appearance in his friend Ashton’s audition. This week, the show put them in the same line. Ashton sang Bonnie Raitt’s “I Can’t Make You Love Me,” while Laine sang “She Talks To Angels” by The Black Crowes. However, only Laine was let through, and Ashton went home. This bubbly singer, who wants to leave a mark as a Hispanic country star, showed up to Hollywood with newly red hair. She belted “Unchained Melody” by the Righteous Brothers on her guitar, and made it through to the group round. This young Vietnamese singer already won The X Factor in her home country in 2016. In her audition, the judges compared her to Kelly Clarkson. She continues to take American Idol by storm, this time singing Sia’s “Chandelier.” It sent her into the next round. Jeremiah is not accepted as gay by his religious family, and said he plans to leave his job as a janitor at his father’s church. Because of this, he called this “the biggest performance of my life.” He performed “Beautiful” by Carole King at the piano, and made it through. These two Walkers both gave great performances. Walker Burroughs sang Stevie Wonder’s “Whereabouts,” while Nate Walker performed “I Believe In You and Me” by Whitney Houston. Both of them made it through to the next round. Both Lauren and Nick shared tragic stories of loss in their auditions. Lauren, who lost her husband in a car accident, made an emotional song choice with “Jesus Take the Wheel” by Carrie Underwood. Nick, who lost his two brothers to suicide, performed “Life of the Party” by Shawn Mendes. In the end, however, only Nick made it through, and Lauren went home. Wade, who shared that his father was abusive when he was a child, performed “Litost” by X Ambassadors. Dimitrius, meanwhile, sang “The Wind Beneath My Wings” while his mom watched on FaceTime before surgery. Both of them made it through to the group round. The first group to take the stage included Juan Pablo, Myra Tran, Moriah Fromica, and Jade Flores. They sang yet another Kelly Clarkson hit, but ran into some issues during rehearsal. Before their performance, they couldn’t find Juan Pablo, who had wandered off on his own to practice. Although Katy said his performance veered on “queso,” it was Jade who ultimately went home. Laine Hardy struggled to remember the name of this Bruno Mars song when they started. However, it was teammate Colby Swift who really struggled, as he forgot the lyrics and left gaps in the song. Ultimately, Colby went home, while Laine, Katie Belle, and Laci Kaye Booth went through. Speaking of forgetting words, Wade Cota decided to write the lyrics to this song by The Mamas & the Papas on his arm. When the judges found out about this, they were not impressed (even though Luke did the same thing once). However, it didn’t stop Wade from getting through, along with strawberry farmer Kason Lester. Grayson Little was sent home. When blind singer Shayy struggled to learn the lyrics to this Backstreet Boys song without being able to read them, her teammates showed their support. They donned specially made glasses during the performance to even the playing field. The gesture made Lionel Richie cry. Shayy, Dimitrius Graham, and Assata Renay made it through, but William Oliver Jr. was sent home. The show ended on a cliffhanger, as the group Ain’t Going Home prepared to sing. Nate Walker felt sick and was losing his voice. Not only was he unable to sing, but paramedics took him away in an ambulance. We’ll have to wait until Monday’s show to see the group’s performance.